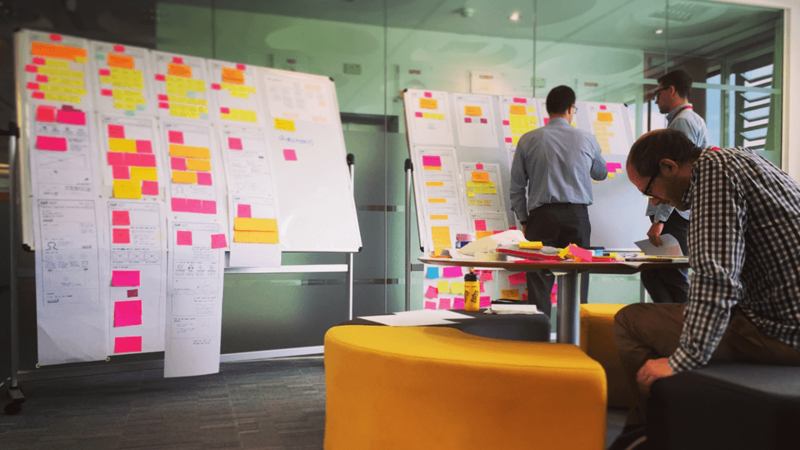 As AND Digital’s experience design partners, we at Webcredible know all about how to integrate great UX and UI design into an Agile process. We work with AND across numerous clients, making sure we’re launching products that the clients love. 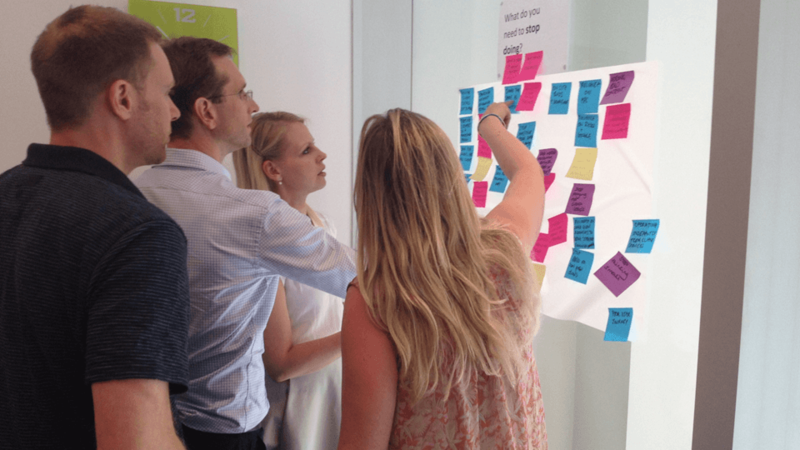 Engage with stakeholders, ideally in workshops to reach a consensus that everyone buys into – what’s the vision for the product, what customer problem does it solve and what does success look like? Be sure to focus on outcomes and not product features – don’t get designing or scoping just yet! Run research with target end users of the product to understand needs, goals and pain points. Don’t ask customers what they want (no one knows!) – instead, find out how your proposed product and its features might fit into their existing behaviour and what problems it might be solving. Combine the findings from your stakeholder and customer engagement, creating a product strategy and prioritising features based on business goals, user needs and ease of implementation (the last being based on development time/complexity, culture, compliance etc.). Our research with our client, Dulux for example, has shown that arguments with your partner and fear of being judged are the 2 main reasons people don’t decorate their home when contemplating doing so. Off the back of our research, we envisaged and launched the Dulux Visualiser, an augmented-reality app that allows you to ‘paint’ your walls and put an end to the arguments and feelings of fear (thereby solving a genuine customer problem). …And all this before you get going with your sprints. This doesn’t need to be lost time either – depending on what you’re doing, sprint 0 should take 1-4 weeks and you can often be getting the core technical infrastructure in place during this time. You should have UXers and UI designers working within sprint teams, continually feeding in designs and user flows for essential user journeys. It’s important to have a healthy tension between UXers and developers, with the former pushing for the best experience and the latter pushing for the easiest possible build. Technical limitations rarely allow us to get the 100% best possible customer experience, but with good collaboration we can get close enough. 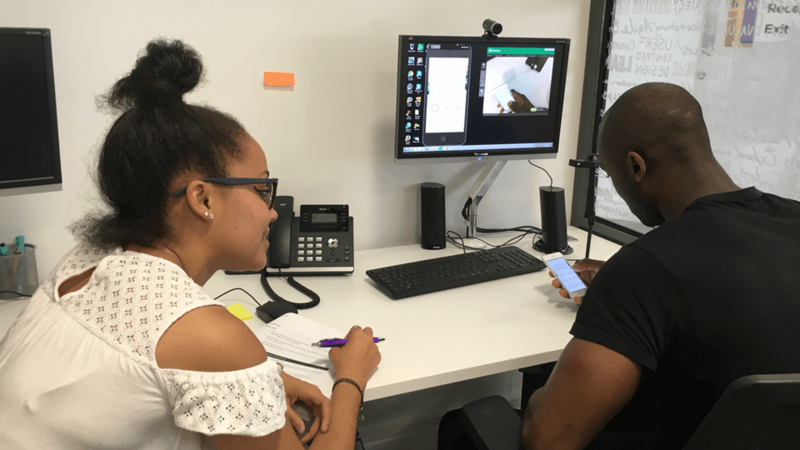 You should also run up to 2 rounds of usability testing during each sprint, ideally one after a few days (to verify you’re headed in the correct direction) and one towards the end of the sprint (to validate your work and make last minute changes). Larger changes from usability testing should be added to the backlog for future sprints. When working with Confused.com, we wanted to include personalised recommendations and the option to remove results from the results page (our research showed these features supported users’ mental models). 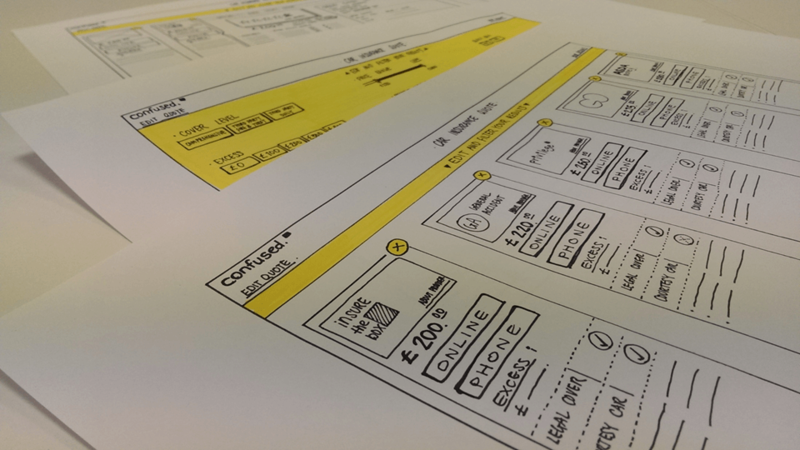 We sketched out lots of ideas for how this could all work at the start of the sprint, and then our usability testing helped us work out the best possible design and user experience (with some great results for Confused.com post-live). Integrating UX into Agile isn’t particularly difficult – you just need to make sure you have UX and UI resource allocated to sprint teams. You’ll also need a bit of extra headspace throughout, to be thinking about your customers’ needs and goals and not just cracking on with building the product and its features. But this is surely a good thing and a great way to end the age-old problem of the HiPPO effect. This post was contributed by Trenton Moss, CEO of our amazing experience design partners, Webcredible.